The Citizen’s Promaster Aqualand watch contains a number of special features that sets it apart from other dive watches. The Aqualand contains an electronic depth sensor and a dive meter system. 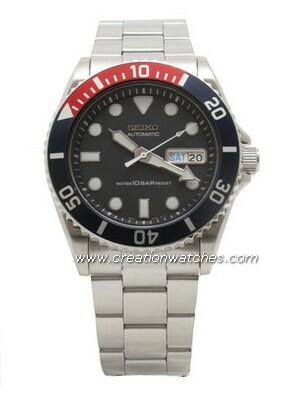 Citizen BJ2040-55E is a super Scuba diving watch best suited of professional divers. This watch is ideal for dives teaching students and non-decompression diving. It has a nice easy to read display both on day and night dives. The watch has tremendous features for one in its price range and is great for both new and experienced divers. Citizen Eco watches are reliable and the Eco feature makes it a pleasure to own-no fuss with batteries, etc. 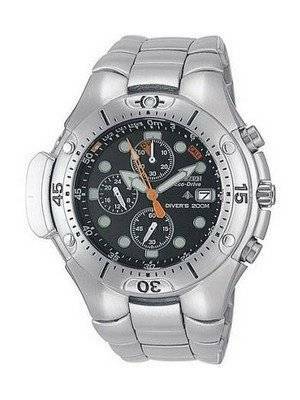 Citizen BJ2040-55E is a strong Stainless Steel Watch with Black Dial. As we know it is best suited for diving because of 200m water resistant and Current Depth Display to 50 Meters Measures. Automatic Eco-Drive Quartz movement with Electro-Luminescence Backlighting makes it stand out in the crowd. It’s a citizen diver watch so never need a battery and can be able to Charges in Sunlight or Indoors. Once get fully charged, it can Reserve Power up to 180-Day. This is a Professional citizen diver Watch which has Depth measurement accuracy: 0 m to 50 m. Display the date at 3 o’clock hour, 1/20 Second 50 Minute Chronograph and Depth Display up to 50 Meters. With Maximum Depth Indicator you can keep record of watch depth Measurement. Low Battery Indicator will tell you if it needs to charge. Also it has Screw down crown and Screw Case-back with Unidirectional rotating elapsed time bezel, Anti scratch Mineral Glass, Stainless steel Case with Stainless steel bracelet. Citizen’s diving watches are all about the function. Looks and design serve utility and usability, which results in impressive bulky watches, packed with dials and mechanic and electronic data, and measuring implements. The crown and two press buttons are polished which adds nice look to watch. Hand and markers are luminous and glows in dark. It is an analog watch with hour, minute and sweep second hand in orange color. Hands and markers have green lume over it. The face of dial is deep about 30 mm. Newsletter: Black Friday Week Sale : Further 5% Off!